Urban Land Conservancy purchased Blake TOD with Denver’s Transit Oriented Development (TOD) Fund in November 2011 for $1.7 million. 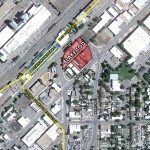 ULC purchased Blake Street TOD due to it’s proximity to the Blake Street station on RTD’s A Line Commuter Rail. This was our sixth acquisition using the TOD Fund, a fund dedicated towards increasing affordable housing near transit corridors. Following the purchase, ULC stabilized the 1.4 acre property through the demolition of a vacant building and environmental remediation in 2012. ULC announced our partnership with Medici Consulting Group (MCG) after they were awarded low income housing tax credits in 2017. MCG plans to develop 65 units of affordable housing on the southeast side of the property along 38th and Walnut. 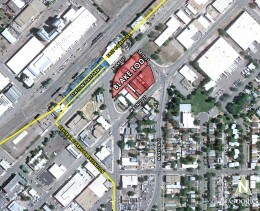 Furthermore, planning is underway for the second phase of development, along the 38th and Blake side of the property. Plans will include a mixed-use development of market rate & affordable housing with ground level commercial space. Cool Solutions is a syndicated radio documentary series about American communities taking climate action from the bottom up. Medici plans to break ground on 66 units of permanently affordable housing at the 38th and Walnut site in early 2019. The height incentive amendment, approved by Denver City Council on Monday, will allow for high rise development up to 16 stories. ULC recently announced our partnership with Medici Consulting Group (MCG) to develop 65 units of affordable housing in Denver’s RiNo neighborhood. We will be selling development rights to MCG, while maintaining ownership of the land through a 99 year ground lease.